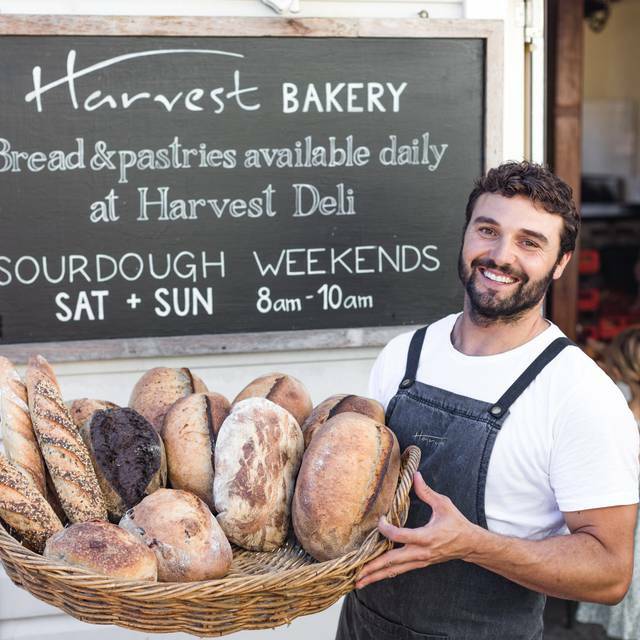 A short ride from Byron Bay, Harvest Newrybar restaurant, bakery and deli showcase the diversity of the wonderful local region. 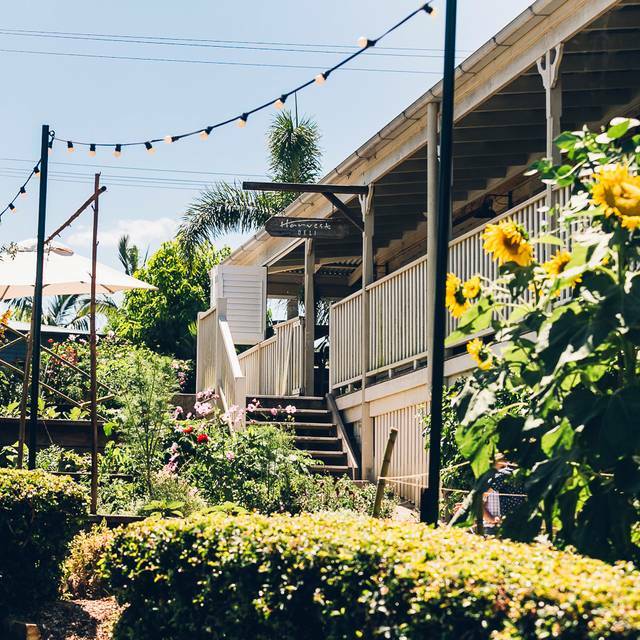 Seasonal food sourced from artisan producers and the restaurants own edible gardens, sit alongside Australia’s native and wild ingredients, in the historic village of Newrybar. 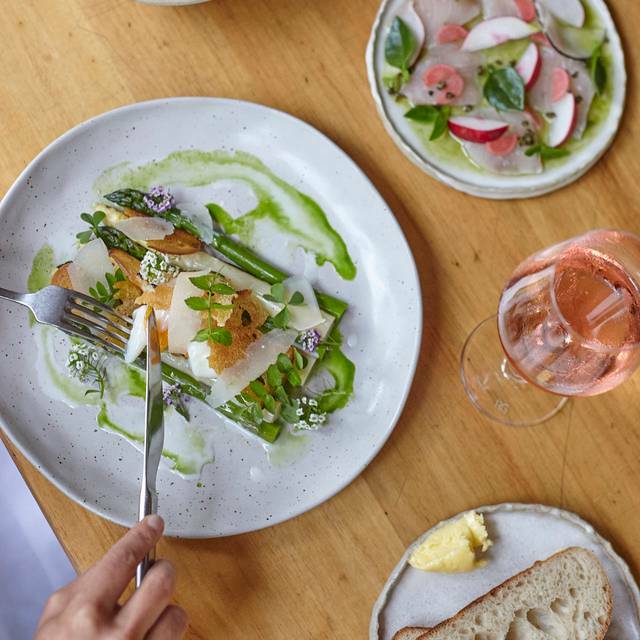 Visit Harvest for a long lunch on the cool verandah, sample the bespoke weekly changing Wild Harvest menu at night (which is created after a day foraging in the Hinterland) or enjoy a traditional country breakfast at the weekend. 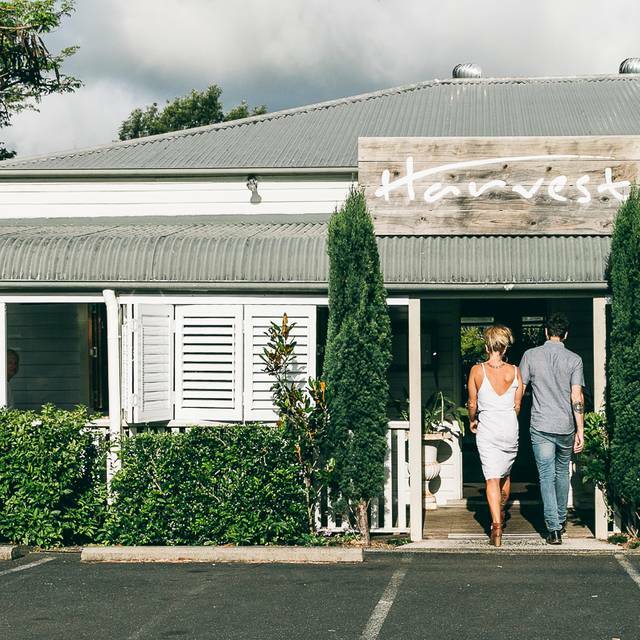 Harvest has received multiple accolades over the years including a hat in the Good Food Guide 2019 and Best Small List (50 Wines) by Gourmet Traveller Wine 2018. 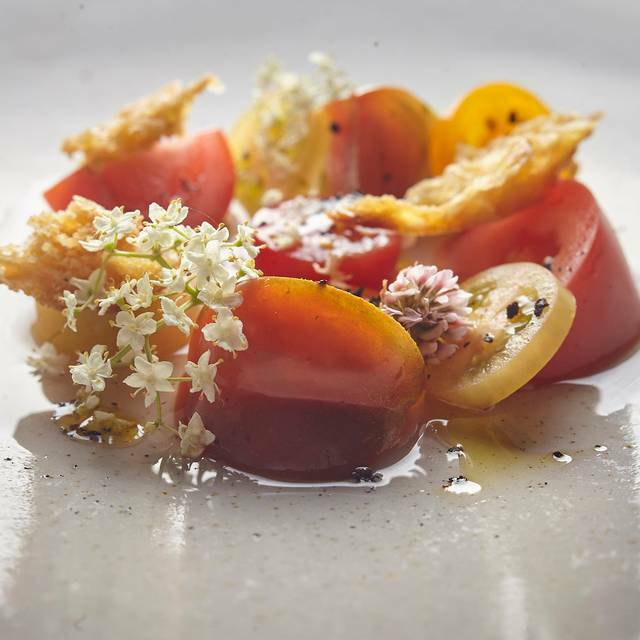 Sun rose, charred pandanus vinaigrette. Wine Pairing: 2018 Brave New Wine 'Glitter Us' Petilant Naturel, Vermentino, Chardonnay, Sauvignon Blanc, Riesling, Great Southern, W.A. Sea lettuce, avocado, grape. Wine Pairing: 2018 Ochota Barrels 'Weird Berries in the Woods' Gewürztraminer, Adelaide Hills, S.A.
Coastal succulent salad. Wine Pairing: 2018 Koerner 'Pigato' Vermentino, Clare Valley, S.A.
Fermented pandanus & apple, eggplant, grilled onion dressing. Wine Pairing: 2018 Jilly Wine Co. 'Lone Ranger' Chardonnay, New England / Clunes, NSW. Passionfruit, riberry wine yoghurt. Wine Pairing: 2018 Jilly Wine Co. 'Miami White' Sauvignon Blanc, New England / Clunes, NSW. Wine Pairing: Mr Black Coffee Amaro, Erina, NSW. This was some of the most interesting food I have ever eaten, not to mention absolutely delicious. Great showcase of local food! We both had to ask 3 times for a top up of wine. Overall disappointing as this is the third time we had been and first time below expectation. The food was fantastic, BUT, portion sizes are very small - table of 5 and spent over $400 on lunch, and left hungry. I probably wouldn’t go back. Service was slow and not well managed. Food was too fussy and not particularly tasty. The “keep it simple stupid” has not been understood here. Even a simple thing as a fresh salad lacked lift and the right seasoning. A disappointing experience.. Good wine list though..
Great opportunity to try some challenging and unique native Australian ingredients. Lovely outdoor seating with open kitchen. Friendly staff. Only negative would be portion sizes. We had the 7 course tasting menu and there was too much food. So much so that we couldn’t really enjoy the final 2 to 3 courses. Beuatiful scenery, helpful waitstaff and the food was divine. So fresh and delicious and love that the salads and herbs were grown on-site. Well & truely worth the short trip out of town. We visited last night. The food was exquisite and the service was outstanding. Incredible effort for the kitchen & the staff to learn new menus every week so that patrons can experience the freshest local produce. Can’t wait to get back!!!! We love this restaurant, the food and service has always been exceptional, the waiting staff are friendly and knowledgeable (without being stuck up or pretentious). 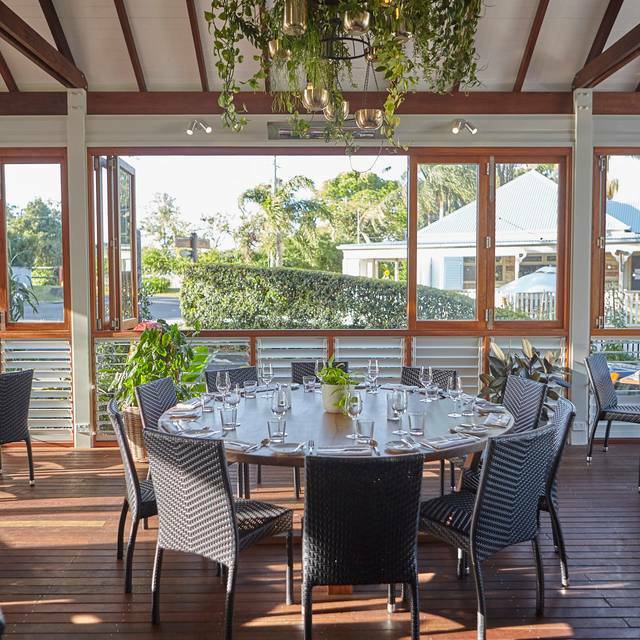 The location is perfect with the dining area looking out over the vegetable gardens and beautiful northern New South Wales countryside. Fantastic food, ambience, and service. Perfect place to wile away the morning, afternoon, or evening. I’d be here every weekend if I lived closer. We were disappointed in the degustation with matching wines. Lamb main was dry, desert wasn’t nice at all. We were expecting so much more, considering the prices. Some ingredients on the plate were there for show but unnecessary and unpleasant. Just because something is edible, doesn’t mean it compliments a dish. Overpriced and very overrated in our opinion sorry. Service was good and staff were great though. Dined on a Sunday evening and selected the Wild Harvest 5 course option. The restaurant was reasonably quiet & we believe this contributed to rushed service where we felt it was more about pushing through the courses rather providing us with a quality dining experience. Two of the courses could not be defined as of high quality. This was disappointing especially considering the $200 + bill. We had previously enjoyed several excellent al a carte lunches & dinners at this venue. We really enjoyed our visit to Harvest! The Spanish waitress was informative and lovely to chat to, the humble green salad was super fresh and full of interesting leaves from the garden, all the dishes that we tried were full of flavour and generously presented. The Foxies Farm pasture raised chicken was amazing!!!! A standout shared dish for 2 although could have been smaller and more affordable, there was enough for 3 people. We went on a recommendation from friends and were certainly not disappointed! Had the warm olives and pulled lamb for starters, followed by kangaroo loins. The food was really exceptional and memorable. I would suggest a steak knife comes with the kangaroo dish. We would absolutely go again! Highly recommend! One of the best meals I have ever had. I have eaten all over the world, this occasion was in my top 3 restaurant experiences of all time. I cannot decide a #1 yet! The food was adventurous & unique. We had the 7 course dégustation, which I highly recommend. Our kids loved their kids meals. The wine was organic and tasted amazing. Finally, staff were excellent, the GM was fantastic & really made our kids welcome. The Scottish chef was a character and greeted us at our table. 5 stars! Just an amazing experience, staff, food everything was perfect. One of the best restaurant meals we have ever had!! This was a terrible experience. I was recommended by a friend who had been there many times before and was with me this time. There was 5 of us. 4 ordered the avocado toast, which took 45 minutes to reach our table! When it finally did arrive, it was completely cold and taste less. Everyone was extremely disappointed. Not only that there was barely any avocado and only 1 peice of toast per plate, it cost $19! I am happy to pay for good food, for what we got it was a rip off! Relaxed atmosphere and staff were very attentive. Good choice of food. Everything was special, especially the desserts. I love that most products are locally sourced. Will definitely be back . Awesome service and good quality! From the moment we arrived, which was 15 mins later than booked, we were made to feel welcome! We were taken straight to our table, which was gorgeous on the balcony. The wait staff offered us water and came back in timely moment for drinks. I questioned him on a few wines and made a decision with his assistance. The champagne & wine was delicious! The starters, entre, mains & dessert were all magnificent. Also the piccolo latte at the end of the meal was really good. We'll go back! Always pleasant atmosphere - we have visited Harvest for special occasions but noticed quantity of food halved and prices remain high-ish. Could add a little extra in the kitchen to make it that extra special. Always awesome - whenever we visit from Chicago we find ourselves here! And can't wait for the next time!! Fabulous meal in a fabulous setting. Beautiful location & superb use of space. 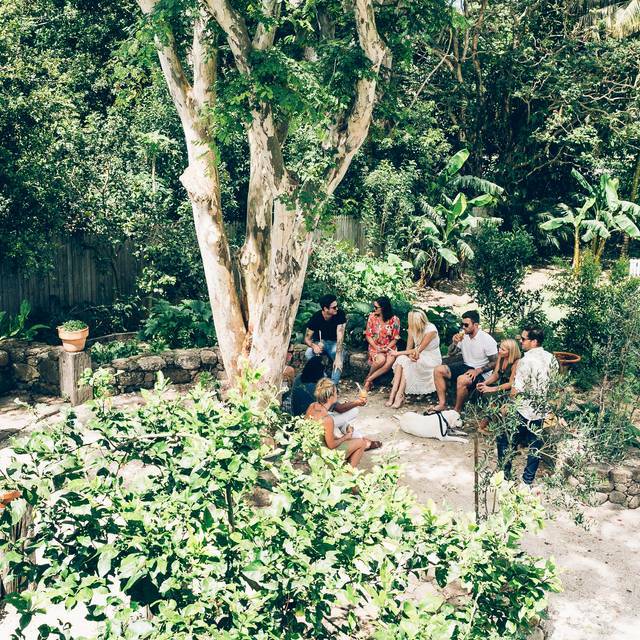 So much more than a restaurant, with the deli and garden to peruse. Food was gorgeous looking and tasting. Super friendly staff. Can't wait to go back! Dined here twice for lunch and dinner. The menu changes weekly so offers a great variety for any returned visits. Food wise, everything was very delicious and fresh. Most of the produce is either grown on site or sourced from surrounding local region and it really shines in the taste. Make sure you pop next door to the deli to pick up some bottled sauces. Ambiance is great and is situated in the sleepy town of Newrybar. We were very relaxed and enjoyed both meals very much. Another lovely meal with friends and family. Great produce all locally sourced and well cooked. Dog friendly and great staff how are easy going and knowledgeable. Need to review the practise of having to order additional vegetables with mains when paying $82 for meat only !! 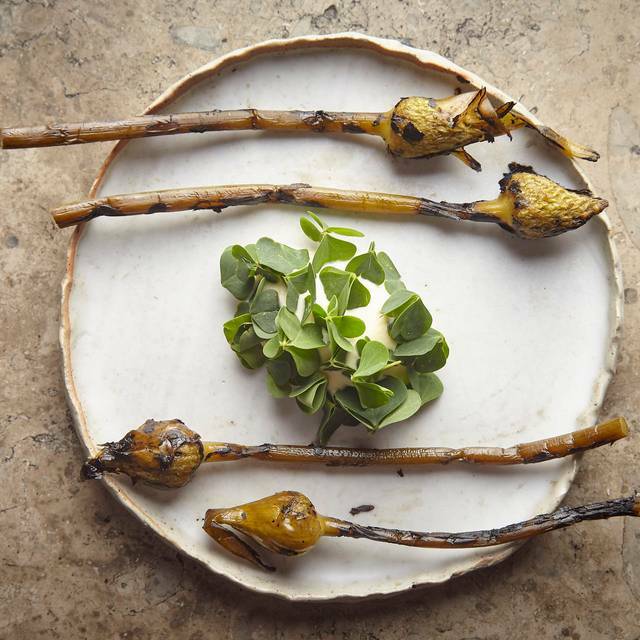 Brilliantly creative locally sourced food delivered with passion. 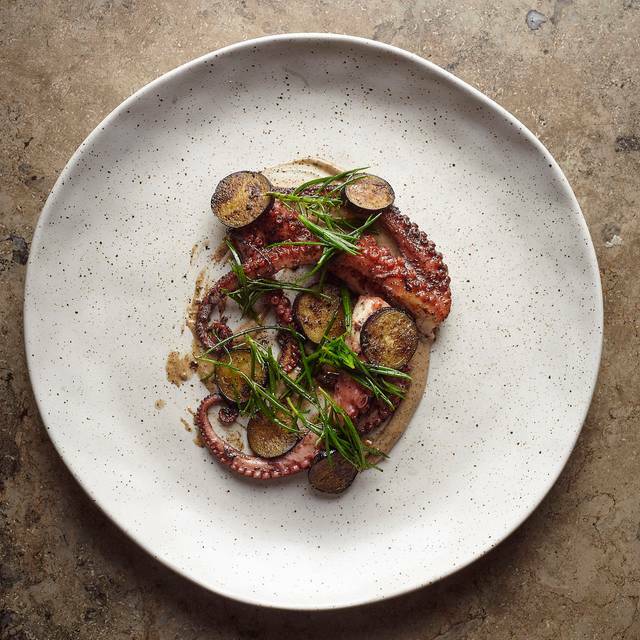 Visit Harvest and find out how to eat real food in a contemporary way. Learn about indigenous herbs and spices and find living examples in the veggie garden. Experience the qualities of an old fashioned local village with its Main Street from a lovely verandah looking out onto the rich local landscape. Why not? The lamb shoulder shared between two people will blow your mind! My girlfriend and I had the best experience. Amazing organge wine on a hot day with the potato’s and green salad paired with the lamb shoulder. Perfection! We were so impressed with the high quality of the food and thoroughly enjoyed every dish and were so impressed with the presentation of each dish. Can’t wait to return. Good quality food although the dishes were a little undersized. Notwithstanding the satisfying eating experience the service from the wait staff was average - the sommelier was disinterested and rude while the waitress was perfunctory at best. And on reading other reviews (and the fact the restaurant was not at capacity at the height of the summer season) would suggest an endemic issue. This is a shame as it could be easily addressed but is totally unacceptable for the price.you pay.